Momsweetie is a Local startup selling high quality child fashion online. To provid a full branding service from identity building, name card, promotion flyer to a comprehensive e-commerce website for the business. 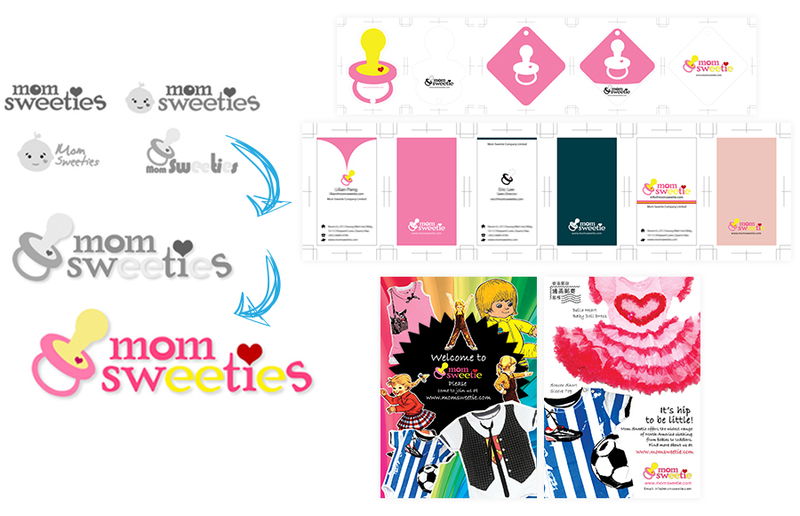 We spent time with client on market research and concept discussion to figure out the art direction and branding of the momsweeties. We made the logo design from rough to details, colouring, corporate font face selection, online and offline logo guideline. The logo was eye catching and easily recognised by the public about the business of the brand, the client was satisfied with our work and we align the rest of branding items (identity card, email header, cloth tag) with it. To create brand consistency for all channels, we were also assigned to design different promotional materials to promote product launch. With the support of the online inventory system, the site can be easily maintained and updated by the client. They can manage the website with the friendly administrative backend to adapt the quick response from their clients and marketing promotion.